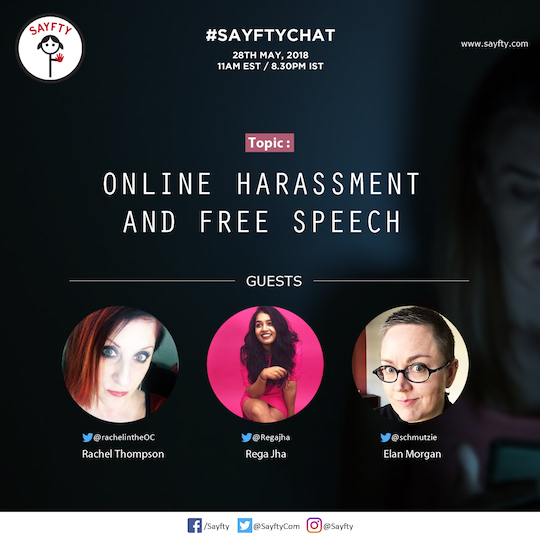 #Sayftychat is a safe and free platform…no money is charged to join in but once here, speak freely! Did I ever tell you the actual date I fell in love with #Sayftychat? If I did, I’m here to tell you that I was lying to you! It’s because I simply can’t remember. I’m just deeply in love with #Sayftychat. Today, I’m here to tell you my story with the Sayfty Chat! This one time while on Twitter, I landed on a very interesting tweet from the account of one of the greatest people I look up to and admire, for their tenacity and energy, Dr. Shruti Kapoor. 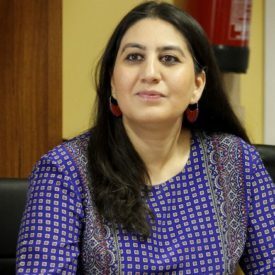 Her conversation thread was focussed on violence against women and girls in India and how we can use social media tools to collectively address it. I was wowed by the insights that she shared. And in between there, I saw the #SayftyChat hashtag. I had never seen it before anywhere. So, I decided to click on it and learn more about it. My oohhhh my, like they always say, “you never know what’s around the corner till you get to it”. This is exactly what happened to me. All you could see were “these loose strands” of conversations talking about various subjects that matter the most to mankind everywhere, in the world. That was before the latest upgrade made at Twitter where threading has become easier to do and follow. Me being the first-timer, you can imagine the struggle I went through tracing the roots of the conversations. I managed to make my way around it all with all the tweeting, retweeting, liking and quoting and then, I asked Dr. Shruti how I could become a proactive part of it. She told me, “Join us every Monday. We will always be having a discussion a topic related to the safety of women and girls. She invited me to join the chat as a guest. I signed up for the same, picked a topic from their list of suggested topics and shared 5 questions with her team for discussion. Who does this kind of thing, for you, in this day and age? I couldn’t believe my eyes when I saw this! I signed up right away, to be a guest in 2017. My time on the #Sayftychat, thus far, has been soooo worth it. I’m in Uganda. Our time-zones are quite different and in the very beginning, it would require me to stay longer at my computer, interacting on the chat. But, right now, it’s quite easier with the use of my mobile. It’s a free platform here…no money is charged to join in but once here, speak freely! 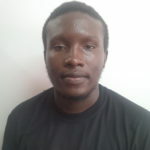 I join the chat every week, prepared to have a fruitful engagement with the guest of the week and the other participants. Currently, I’m working with a youth-led organization- Faces Up Uganda. And at the beginning of this year, I thought deeply, about having something similar to #Sayftychat here. And so, we rolled it out, with the hashtag #FacesUpTalks. It happens every fortnight….on Wednesday and is about mentoring and proper role-modeling our people, into a better world that we so much yearn for. It’s a step alright…in the right direction of tearing down injustice, from the roots and reaching many more people in the process. See how #Sayftychat has constantly given me that push to fight injustice?